images-naturally! 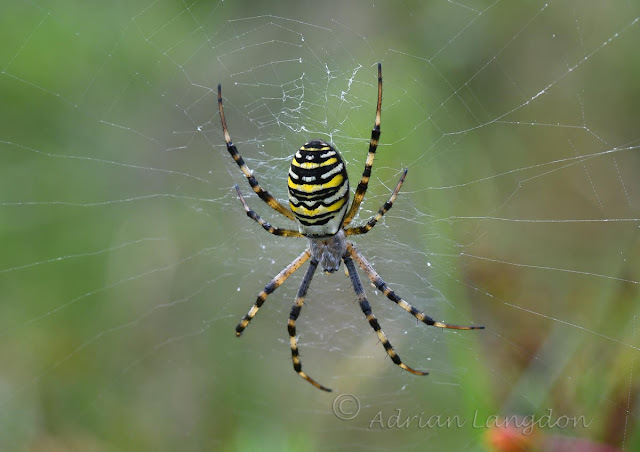 : Wasp Spiders at Chyverton reserve Cornwall. 21st Aug 2017. Wasp Spiders at Chyverton reserve Cornwall. 21st Aug 2017. 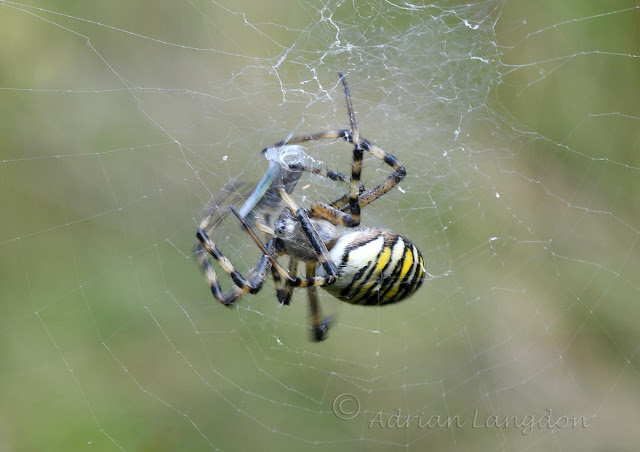 Wasp spider (Argiope) waiting for unsuspecting prey. 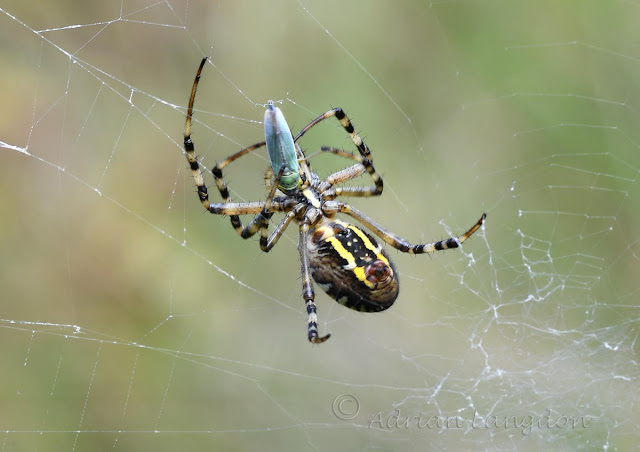 Which turned out to be a froghopper! Nice one mate, must admit I'm a tad jealous, not seen one yet.